Congratulations to the Holdsworth House Hotel, this week’s ‘Wish you were here’ winners! 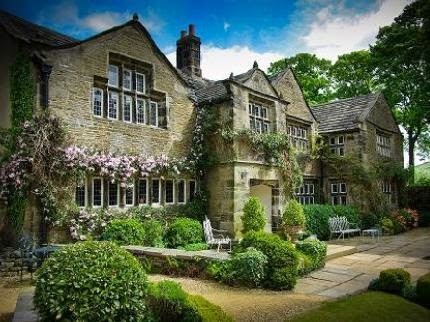 Holdsworth House Hotel has 39 charming bedrooms and banqueting and conference facilities for up to 120 guests. Over the years, there have been a variety of celebrities visiting the hotel but the most famous of them all must surely be The Beatles who stayed here at the height of their fame in 1964 on John Lennon’s 24th birthday. The hotel is just seven miles from the M62, almost equidistant from Leeds and Manchester and ideally located as a base from which to explore the Pennines and the Dales, with Bronte country on the doorstep. In Halifax, Eureka! Museum for Children is the first and foremost hands-on children’s museum in the UK and a little further afield is the National Media Museum and the Hockney Gallery. The hotel’s restaurant offers modern home-cooked food. The three adjoining, beautifully furnished rooms -The Stone Room, The Panelled Room and the Mullioned Room - overlook the gardens. You may be familiar with The Holdsworth House hotel from recent appearances on the Last Tango in Halifax, a popular BBC one series!